my husband had the day off today, which is nice because we actually get a two day weekend together since he got home on Saturday! today we are looking China Glaze Solar Power. It's a surprisingly opaque yellow pearl, it looks like a warm, golden daffodil. the formula was good, i ended up globbing it on because i accidentally bumped something and smeared it. it was a nice, thin formula which held up to being globbed on nicely! 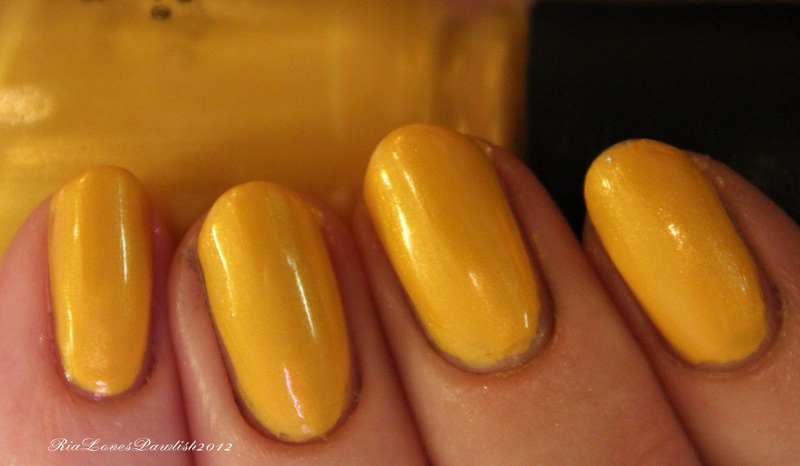 i'm really impressed with the formula, generally yellows are such a nightmare to apply. loads of Solar Power, one coat Seche Vite.